It has been a while since my last post. I have made some decisions and put my priorities in where it's most needed. I have stepped out from the daily writer to be more into a passive income seeker. 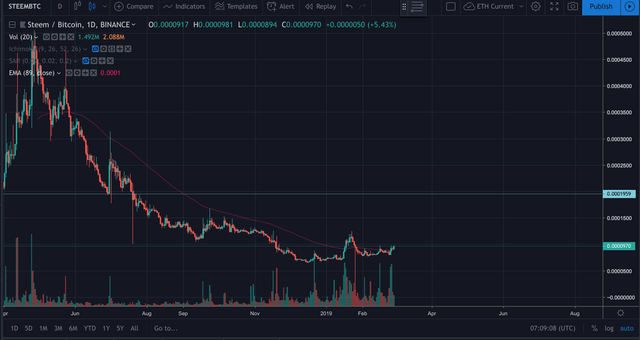 Yes, Steem has been holding up the support line pretty well, not to mention that Steem has broken the EMA89 to maintain a bullish momentum for the second time. It was great to see that such movement in Steem for the coming days. With all that great movements, I can expect Steem to reach the 11.000 area before moving up higher to 47.000 area. For me, I have been buying Steem in the 7000 areas, and have booked some profit today.